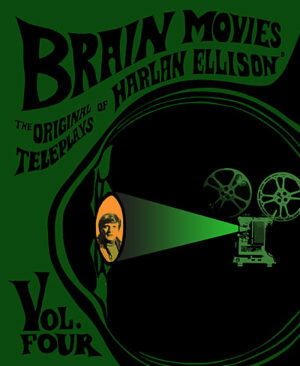 Among the 30 books written by Harlan Ellison (of whom the great American novelist Howard Fast has said, “He is always original, always exciting…one does not simply read an Ellison story. One experiences it”) this is his rarest. Among those who say it is his best book are the bidders who recently spent $80 at a West Coast auction to obtain one copy of the original 50¢ first edition. 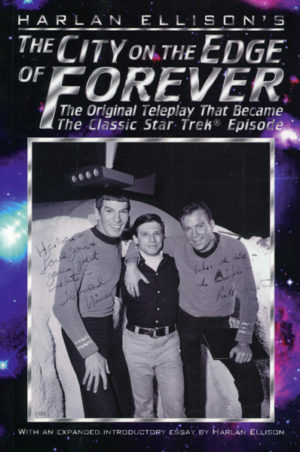 Now, for the first time in almost 15 years, this superlative collection is available again. With a new Introduction by the author, a Foreword by Frank Robinson, co-author of THE GLASS INFERNO, and the first book appearance of “Turnpike,” a small gem accessible nowhere else, this is a major collection that will delight and horrify you: stories of the lost, the damned, the helpless, trying to get a handle on life. 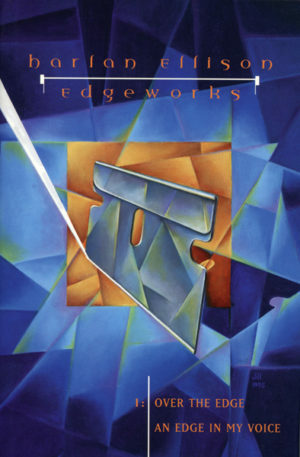 Tales dealing not merely with the fantasy constructs of other Ellison books, but chillers that slice and rend and fear at the very real nightmare world we move through every day. Stories of racial prejudice, narcotics addiction, juvenile delinquency, anti-Semitism, alienation, violence. 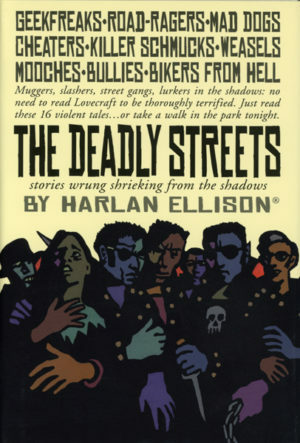 If you can cope with it, take a deep breath and plunge into Harlan Ellison’s world: strange and dark…but always your world! 1975 Pyramid mass market paperback; 2nd printing. It is not the province of this department to take up recent paperbacks. In the first place, there are too bloody many of them; in the second place, the covers are adorned, or something, by naked young ladies writhing in death agonies which will go on drearily through the book; and in the third place—well, I really don’t believe there is any third place. 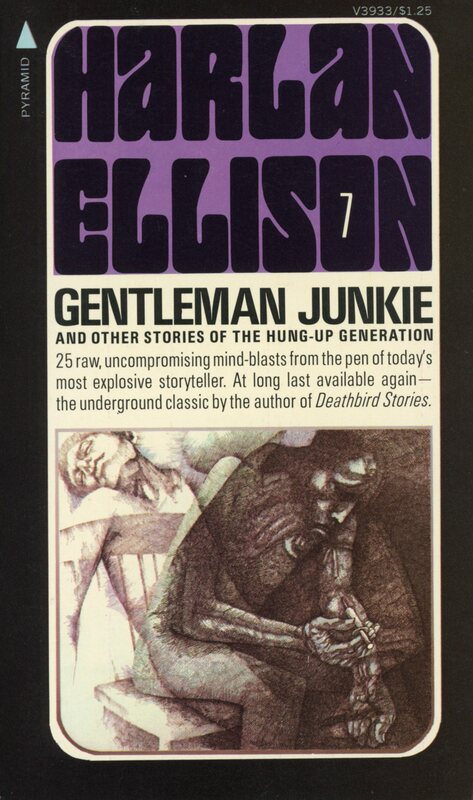 But lately there has come into my weary hands a paperback of short stories by Harlan Ellison, a young writer whose name I had not known before. 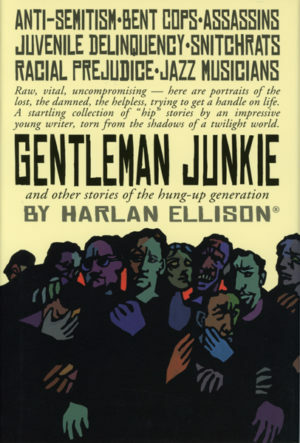 The book is horribly titled, Gentleman Junkie and Other Stories of the Hung-Up Generation, the Gentleman Junkie being one of its least-distinguished stories; on the cover, as is the way, the stories are exploited as raw, vital, uncompromising, startling, “torn from the shadows of a twilight world”—oh, you know how they go on. But it turns out that Mr. Ellison is a good, honest, clean writer, putting down what he has seen and known, and no sensationalism about it. In the collection is a story called Daniel White for the Greater Good. It is without exception the best presentation I have ever seen of present racial conditions in the South and of those who try to alleviate them. I cannot recommend it too vehemently, and if you can steel yourself to ask for Gentleman Junkie, I do not think you will be mad at me. Incidentally, the other stories in Mr. Ellison’s book are not so dusty, either. 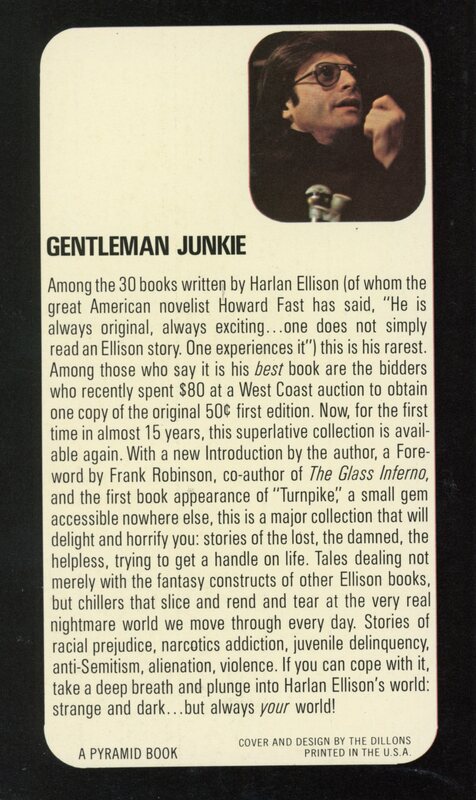 This is the review that took Harlan Ellison to Hollywood, it was the only paperback ever reviewed by the legendary Dorothy Parker. For almost fifteen years copies of this small-printing collection have passed from hand-to-hand. When they surfaced at rare book auctions, the prices were sky-high. Now you can find out what literary wonders delighted the incomparable Ms. Parker.